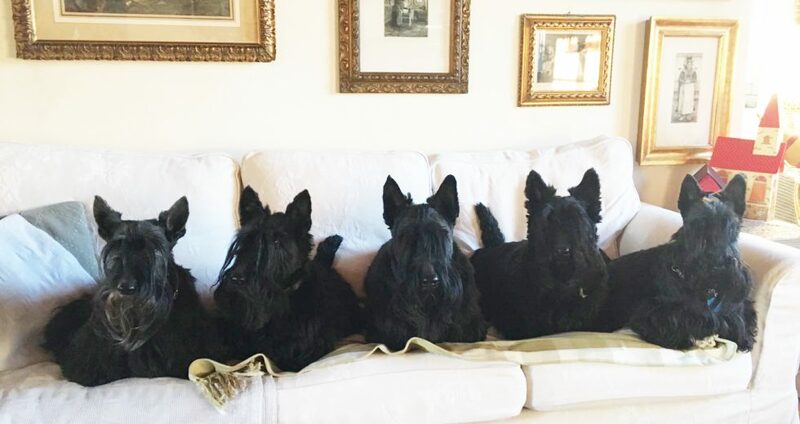 We have had dogs for 45 years, in 2007 we got from a reputable Itlaian breeder our first scottie, a wonderful and beloved girl of 9 weeks, Mafalda who sadly passed away in 2017; she had two litters and we kept a pup each, Bacon (now 8) and Harriet (now 7). As we are not young we decided that we wouldn’t have dogs any longer. 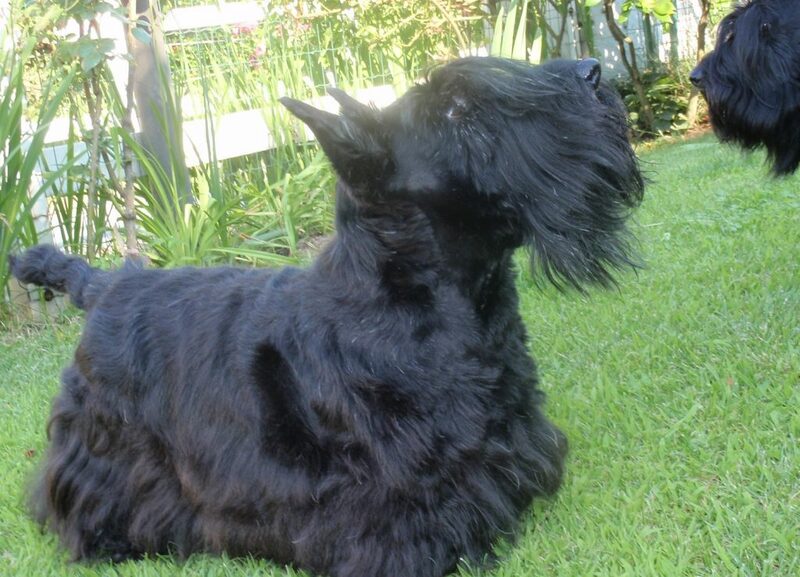 But last January our groomer told us about an old (he will be 14 in April ) neglected scottie in need who had to be rehomed. He was really a poor, sad thing: he had a severe, purulent infection at both his eyes, liver problems, big tummy, cancer at one of his testicels and was, obviously, very depressed. He stayed in his basket all the day long and had even difficulties in opening his eyes. How could we leave him in such a bad situation? 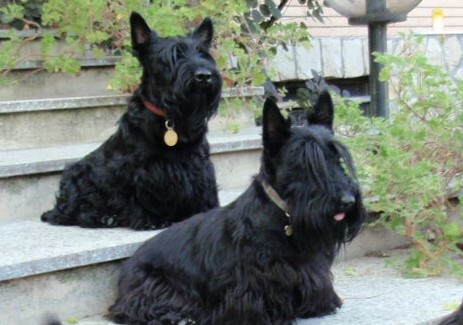 we wondered how both our scotties would accept him as they are bossy and not very sociable. Anyway, we crossed our fingers and day after Teo was with us; What a wonderful surprise, he was welcomed by both our dogs who understood immediately that he was in difficulty and was going to become part of our family. Teo had many vet checks, oculistic treatment, good food and was operated: now he is a new, healthy and happy dog! 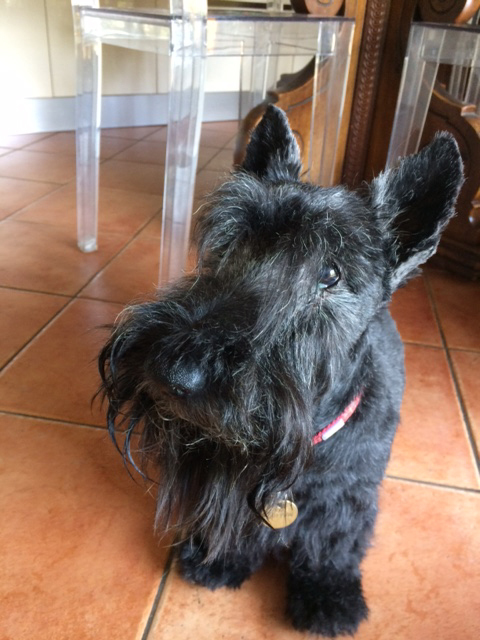 In spite of his age he has learnt a lot in the course of the time: he respects our two cats, behaves, queues for his food, sometimes plays and shows his affection to us (humans and dogs). He shows also a true Scottish character! And, useless to say, we love and spoil him.